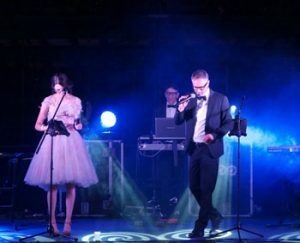 The electro/pop band Boostman Family, founded in 2012, is composed of different artists from the same family, of which Amy and David are the visible part. David Boostman sings, plays keyboards and drums, as well as being the band’s producer. 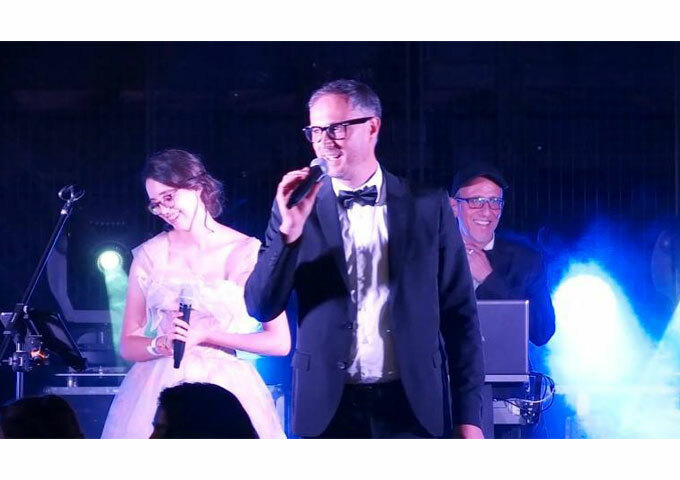 David has been an arranger for big names in France and has composed movie soundtracks played in European theaters and on TV shows. He speaks fluently English, French and German. Daughter, Amy Boostman, sings, plays the guitar, and also shares in writing some of the band’s music and lyrics. Uncle Jo Flash comes from the European underground electro scene and takes care of the synths and machinery, as well as play the guitar in some of the band’s songs. David Boostman describes the band and its music quite simply: “We make pop music that resembles us, that makes us want to dance, dream and think, by ourselves, with our family or friends. I think people will still be able to enjoy it in 10 or 20 years and this doesn’t mean our music does not fit in the present time”. 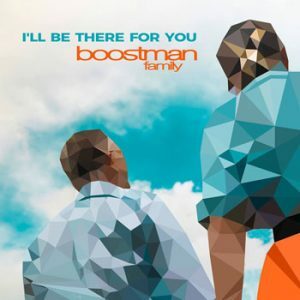 Boostman Family have a brand new single out called “I’ll Be There For You” which forges all the band’s gorgeous electro-pop sonics. There’s something special about the way Boostman Family carefully pander to an audience who will be captivated by their music based on the raw strength of their song craft. Each one of their songs is designed to appeal to the very basic emotions of just about every breathing human being by utilizing tricks pulled from the very catchy electro-pop toolbox and yet they’re just so good at fitting together familiar parts that their music remains supremely pleasurable. This was evident on last year’s bass-driven chillout banger, “I Can’t Sleep” – my favorite Boostman Family song thus far – and is again present on “I’ll Be There For You”, though wrapped up in different flavors. The absolute strength of this musical unit is that they infuse their songs with a complete balanced and polished package. No instrument or voice strives to outdo the other, and nothing lags behind so as to be defined sub-par. The Boostman Family meticulously manages every aspect of the elements within their songs, which inevitably leads to the whole being greater than the sum of its parts – the vocals, the instrumentation, the songwriting, the arranging and the production is attended to with the exact same passion and scrupulousness. This is an essential factor, in a group situation, that should not be taken for granted. It equals harmony and cohesion, which translates into joyous, blissful music. And that’s exactly what “I’ll Be There For You” exudes across its duration. Boostman Family really know how to pace a song, never letting anything slip too early but patiently waiting for the perfect moment to unleash key elements – checkout the lusciously clever vocal harmonies, the gentle breakdowns and buildups, and the twisting synth interludes. Boostman Family simply give us melody, rhythm, craft, and mood – we then process our emotions through them!